Its large surface can be printed with the logo of your company, photographs, artwork and text related to your business so that it grabs all the desired eyeballs. Retractable banner display is widely useful due to its transportation-friendly nature. The banners also take up very little space when hooked up but are, nonetheless, ideal for advertising your business at a trade show, event, fair etc. They serve as a good sales tool that can be effectively used to publicize your business and attract customers with bright and bold graphics. These ads can be used on a temporary as well as permanent basis in places like shopping malls, restaurants, hotels etc. How to choose the right banner? 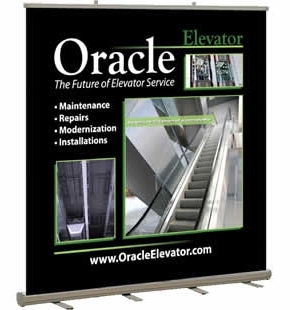 Size is the first factor you need to consider when ordering a retractable banner. In order to determine that, you need to consider the length of the message you want to convey and the venue where it will be used. While some retractable banners are meant to make your customers aware of a new product, others are meant for making people aware of an upcoming event. If your venue is a small one, you may order several small ads instead of one, as a single big one can look ugly in a small area. 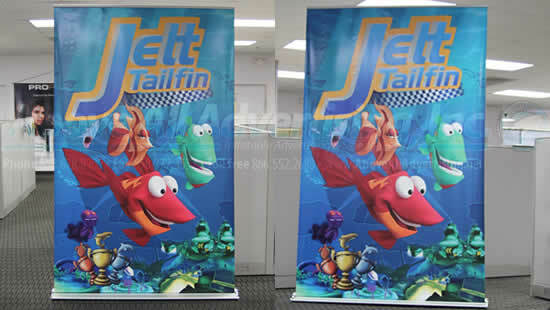 The next thing you need to consider is the quality of the material you use for printing the retractable banner. You being a businessman would obviously like to use, store and reuse your ad. So, it is better to choose a durable and smooth material, that is long-lasting and easy to store. The material should especially be smooth as that makes it easy for the advertisement to be retracted into the case. Also take care of your budget. A retractable banner display can be very expensive; so when you choose one for yourself, make sure it fits within your budget. However, that does not mean that you are supposed to compromise on the quality of the material of the advertisement. You are advised not to over or underspend, but choose the right thing within your budget. Always remember that your banner represents your business before your prospective customers; so make sure it speaks well of your products and services.